I was so excited to get back into the studio this spring and shoot. Even more stoked that it was with this very fun family! 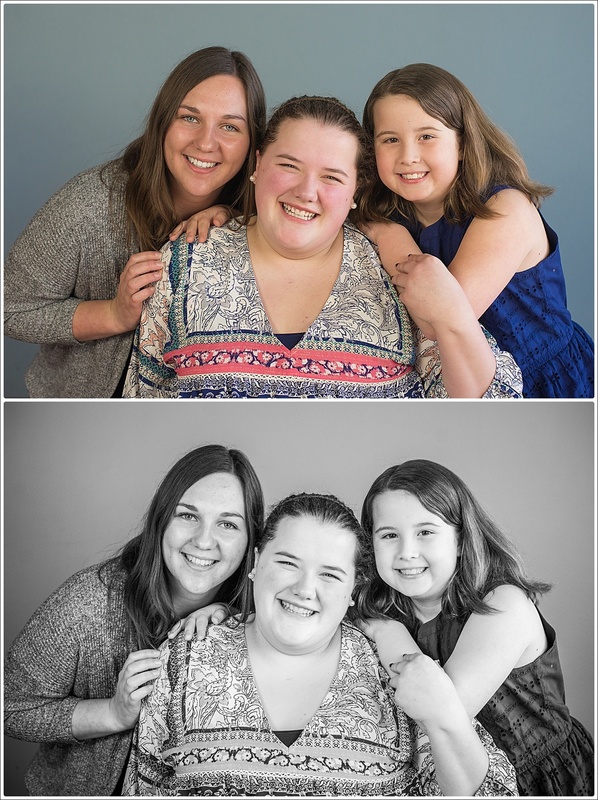 Heather contacted me looking for a session for her super unique blended family. She and her husband, along with her husband's first wife, are hosting a foreign exchange student this year. They together wanted a session with her and their other two daughters. How fun is that?! So I spent a chilly afternoon with them capturing some portraits for all of them to commemorate the fun year they've had together. Melina, who is from Germany, and Sarah are both 17. They were funny together, very much acting like sisters with playful banter and teasing and laughs. 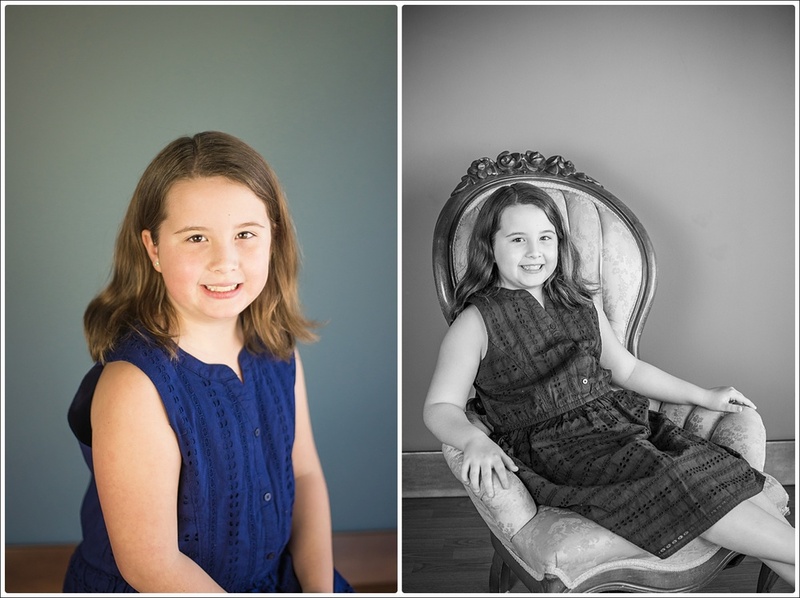 Little Amelia is 9 and LOVED being in front of the camera - she was happy to come up with poses and quickly got the hang of making sure her smile was real. Everyone made my job so easy by just being into the session and happily posing and giving real smiles!